After my last run, I am super geared up to continue on with my running plans this year and the upcoming one is the one to look out for. 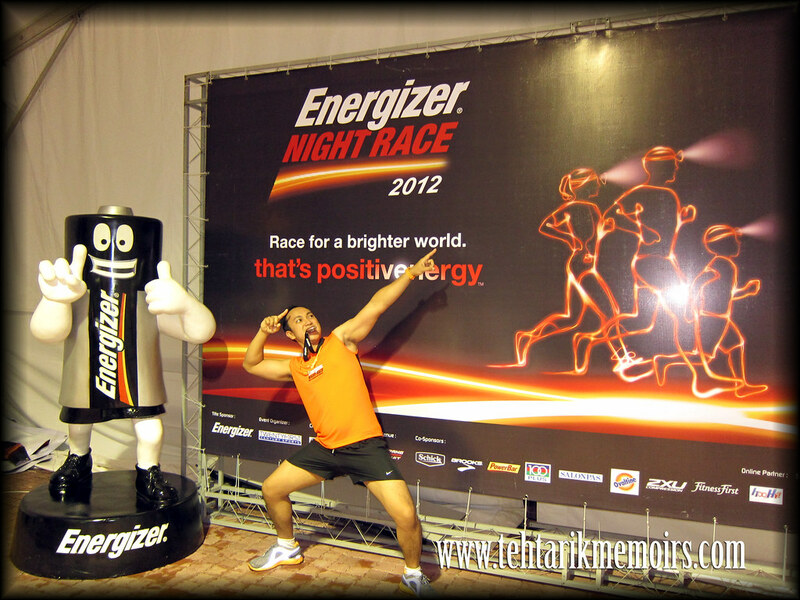 Last weekend, I managed to conquer the Energizer Night Race 2012! 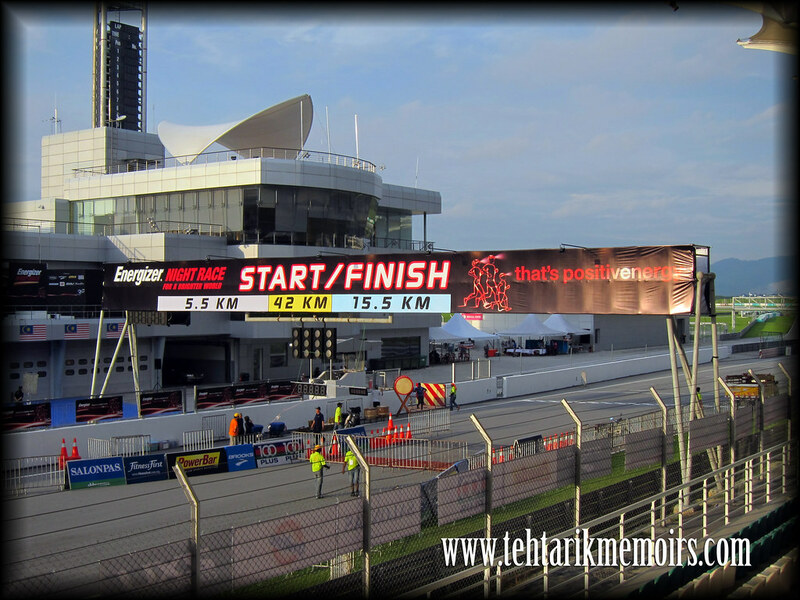 For one, the run this time is going to be in another iconic Malaysian location, where runners are given the opportunity to run INSIDE THE SEPANG FORMULA 1 CIRCUIT! 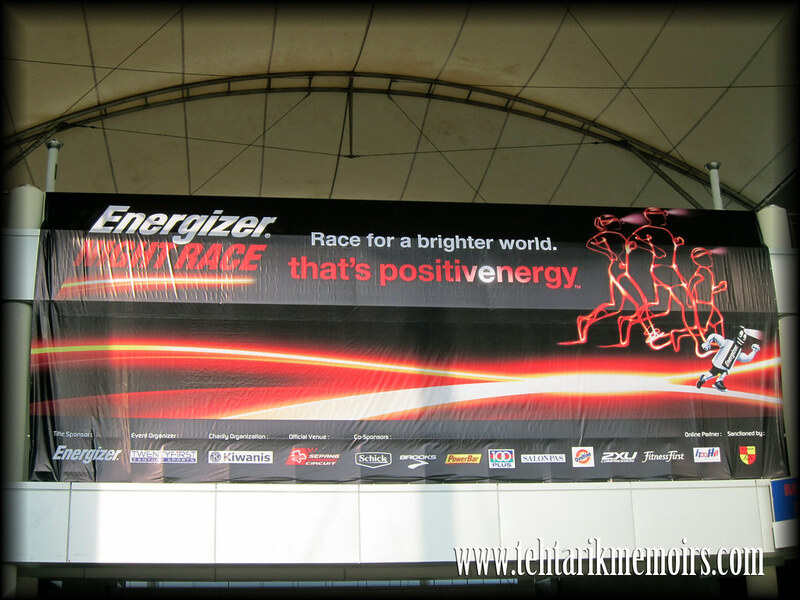 After the fiasco that happened in the Energizer Night Race last year, there were a lot of talk on how exactly things are going to change for this year. Then again, the organisers this year was Twenty First Century Sports, which is an experienced company on handling large scale running events in the past. Unfortunately because the madness that happened last year left such a bitter taste to the memories of a lot of runners here, it is little wonder that there were a lot that boycotted the run itself. I suppose the one thing that came into people's is how the entire event was to going to turn up. We got there bright and early for the race and so far, everything was organised very well around the area itself. With enough signs to point everyone to the right direction, booths and other things being sold and organised in the area, adequate food stalls around the park which gives us a lot of things to do while waiting for the start of the race. 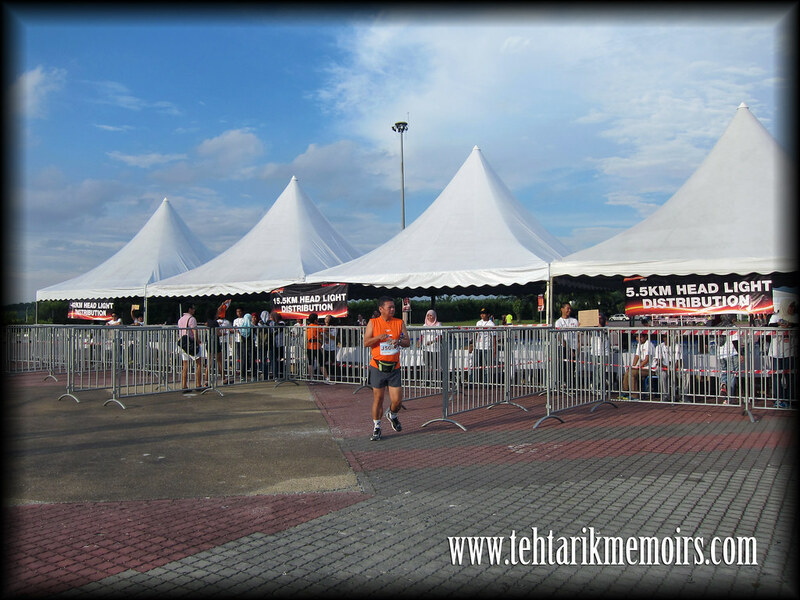 As I see it, everything that was organised pre-run was done perfectly. As night falls, the time for my run came closer and closer as I was getting even more nervous than before. Ms Ave T was trying her best to calm me down a bit which did help a lot. 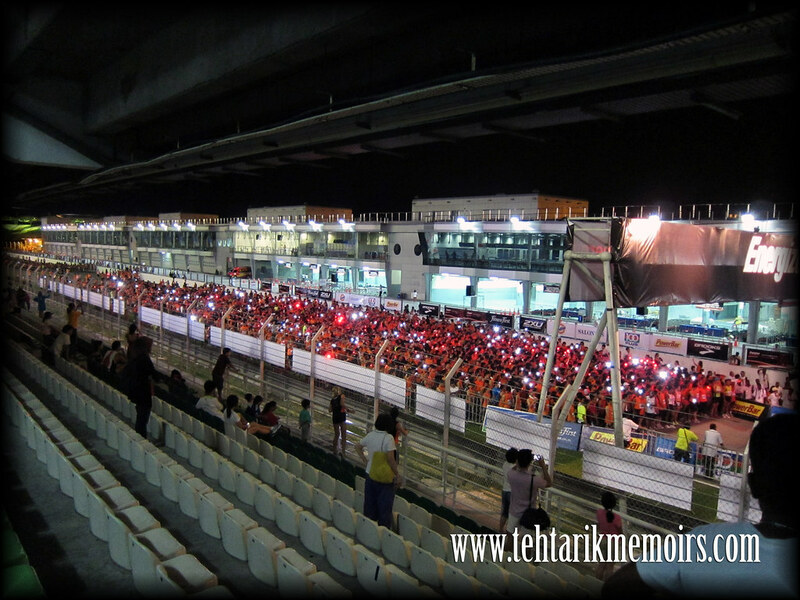 As the 42km runnners were getting ready for the flag off, everyone turned on their headlights and the entire track was filled with a sea of lights. I thought that looked awesome. 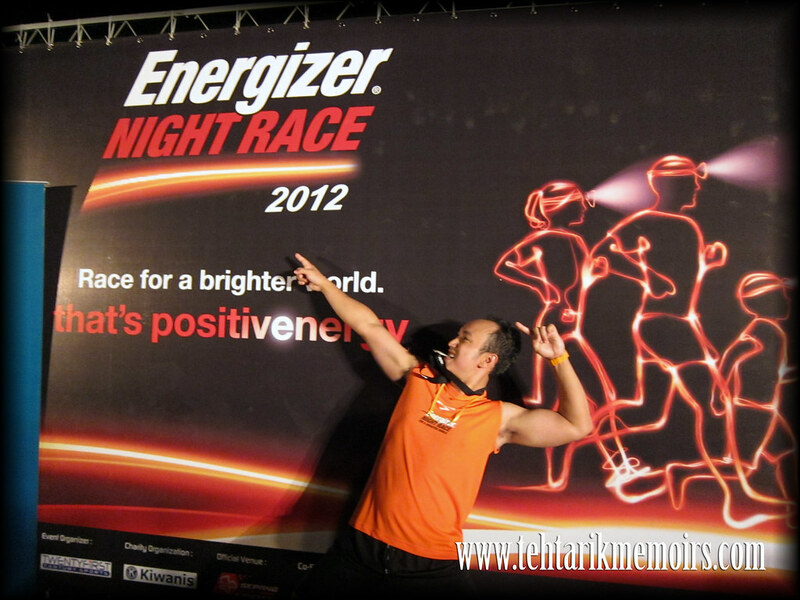 And after that, I was set to flag off with the rest of the 15.5km runners. So as we got flagged off, I was late to reach the starting line during the gun time (partly because of traffic and partly because of confusion of the starting time) so I was actually running toward the starting line and just kept running from there. Talk about panic! After the first 3 kilometer, I was honestly enjoying the view from the track. Personally I felt so unreal that I was actually on the legendary Formula 1 track. 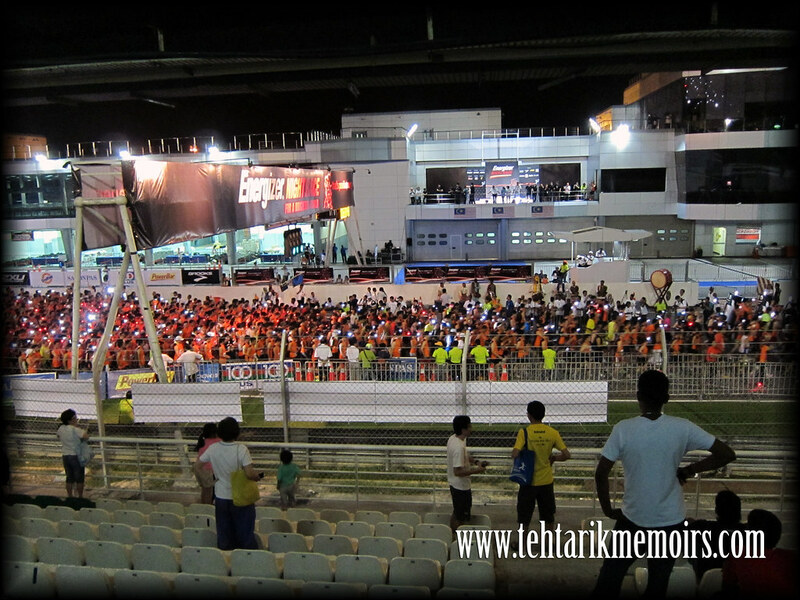 As I turned my head to the side, I saw the runners from the 5.5km was about to flag off and could see the sea of lights from the starting grid. Truly a magnificent view. At the 6th kilometer, we existed out of the track and outside to the service trail. So far the organisers have been absolutely fantastic in catering to the runners. 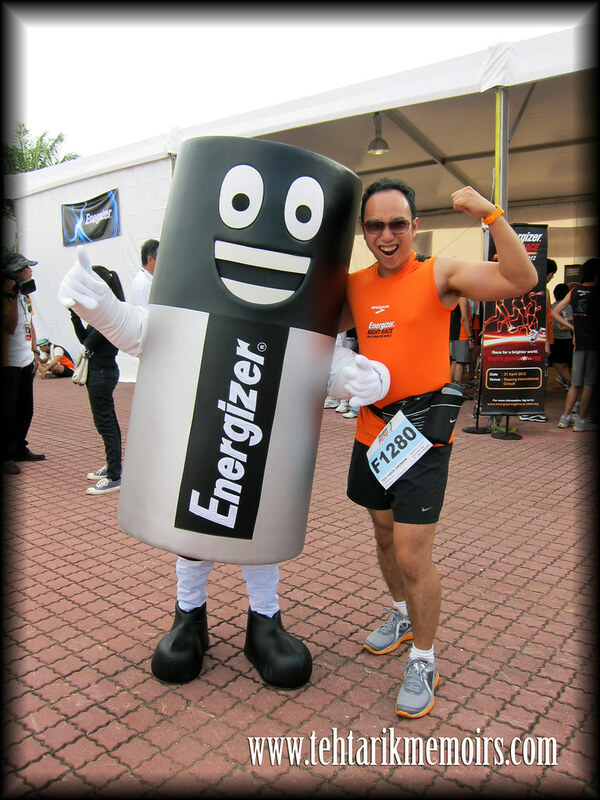 More than enough drinks and sponging stations and people cheering and playing drums while you run. Total bliss. 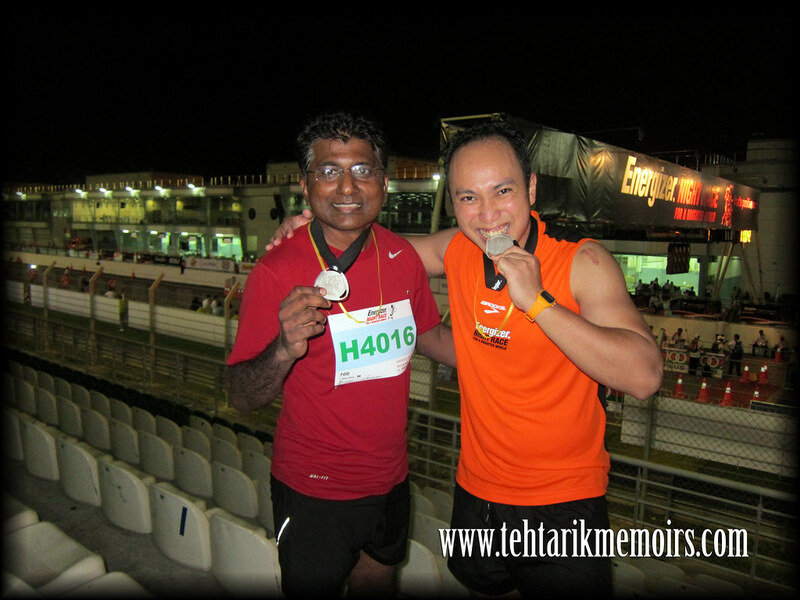 At the 8th kilometer, I realised that I truly underestimated the track of the run itself. While the Sepang track was nice and flat (albeit some uphill track) the one outside was one hell of a trail. Constant change in the gradient meant that I couldn't get my heart rate to get used to the the trail. This was going to be a difficult track. 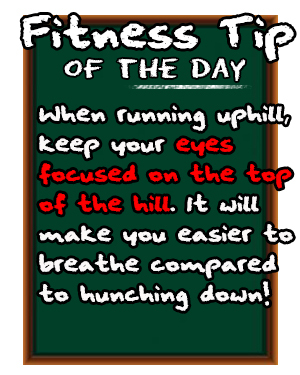 At the 10th kilometer, I started to feel sharp pains on my knees and calves, thanks to the hills. I was already walking a lot and was in a lot of pain. 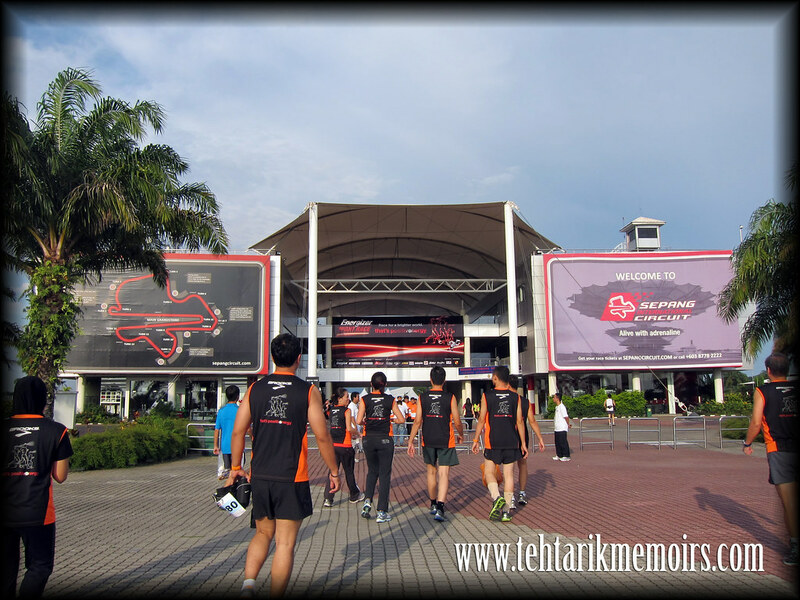 at the 12th kilometer, we joined in the Formula 1 circuit again and I felt something I have never felt before in the previous run. I started to starve. I was seriously so hungry that my mind couldn't concentrate anymore. I was walking and running in the same time and was going slower by the minute. At about 300 meters left to the finish line, both my calves started to twitch and cramped to full glory. I fell to the side of the track for a bit and some of the medical guys came and helped me. I told them to just get me up and let me finish. So I limped and cramped my way to the finish line, in front of so many people. My target timing went to dust when that happened. But I still finished. With the timing of 1 hour 57 minutes and 34 seconds. I gave everything I could for the race and once I reached the end I had nothing left but to limp myself to the medical station. I have to thank them so much because the minute I was there, they reacted so far as to give me treatment and had a bed and water for me to lie down and drink. Much thanks to the medical staff from University Malaya hospital, who even took a picture with me while I was sitting in pain, for their excellent work during the event! All in all I would have to say this run WAS SO FAR THE BEST ORGANISED RUN I have attended for this year and they have truly redeemed themselves from the fiasco that happened last year. Excellent organising work, with enough water station and sponging areas to provide to the runners and everything was provided very very well for all the runners this year. 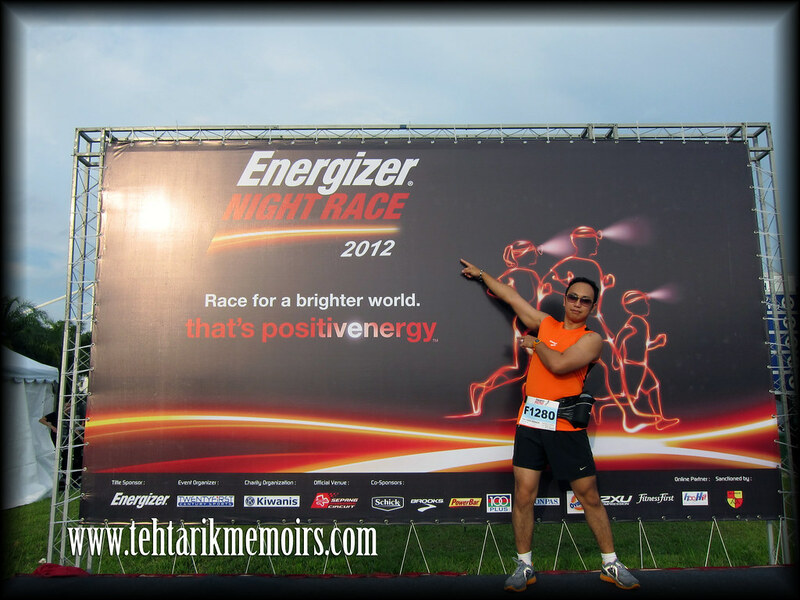 My deepest congratulations and appreciation to both Energizer Malaysia and Twenty First Century Sports for organising a really awesome event. I enjoyed it big time and looking forward to join again next year! Sounds like an epic race bro with the collapsing near the end. When and what is your next run?